Buying a smartphone but can’t decide which one to choose? Buying a perfect smartphone can be a tough task because there are so many choices and so many suggestions. 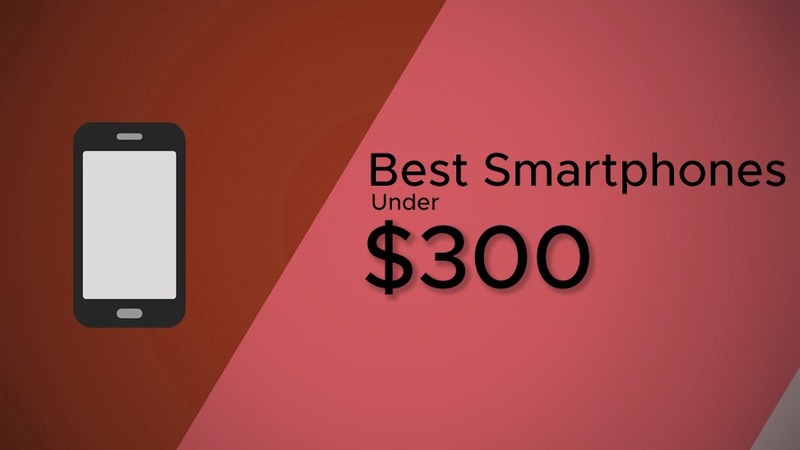 In this post, you will see only those smartphone which worth buying and are best smartphones under $300. There are many factors which make a smartphone good or bad for you. Like Performance, Battery life, Build quality and more. Some smartphones are good at one point while some are all-rounders. We have done research and collected all Benchmarks, tests, and Reviews Score from all over the Internet and prepared this list. The most affordable device in this list is also one of the best-looking device. The device’s back is of glass and the frame is of plastic. The fingerprint sensor is on the front side with a Motorola logo above it which also make the bezels unequal. Overall the design is good and build is also good enough. The display is a 5.9 inch LCD with an FHD+ 1080*2160 resolution. The display is good and provides sharp and punchy colors. The brightness is also good enough under sunlight. Moto G6 Plus sport a Snapdragon 630 Octa-core CPU. Leaving the synthetic benchmarks aside, the real-life performance is good enough and you are not going to notice any hiccups or slowdowns in apps. However, High intense games like PUBG will run on low settings and still they are just playable. The Android on Moto G6 Plus is Stock as always. There are some Moto apps for Gesture and Moto Mods. However, In recent years, Motorola got a bad reputation of late Android updates for its Moto G series. Moto G5 recently received Oreo in Pie era. The camera gives good color with decent Dynamic range. Low light shots are also good but noise reduction algorithm eats some details which make the image flatter. Shutter lag makes the camera slow. Video recording is also good with good color and decent dynamic range. The noise is pretty low but the audio quality is poor. Moto G6 plus has a 3,200mAh battery which is medium enough in size. Turbocharging is there and it can charge 20% battery under 15 minutes. Battery backup is good for moderate users and it will last for one day. The design is decent and build-quality is good. Xiaomi decided to cut a lot of fancy element to maintain the price under $300-400 and that’s why there is no glass back, chrome finish or other refinements. The back is of polycarbonate but the smartphone build is strong. 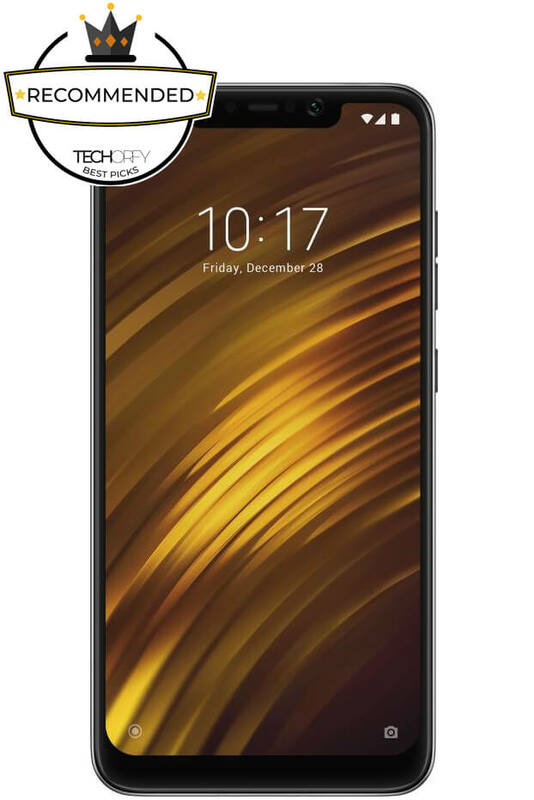 The Pocophone F1 features a 5.99-inch IPS LCD display with a resolution of 1080 x 2246 pixels (18:9). Colors are nice and punchy. The display may feel dull if you are coming from an OLED display but looking at the price, the display is fine. Pocophone F1 beats the double priced smartphone here. The Snapdragon 845 with 6 or 8 gigs of RAM give a monstrous performance. The UI is snappy and the overall smoothness easily matches the Pixel or Oneplus. 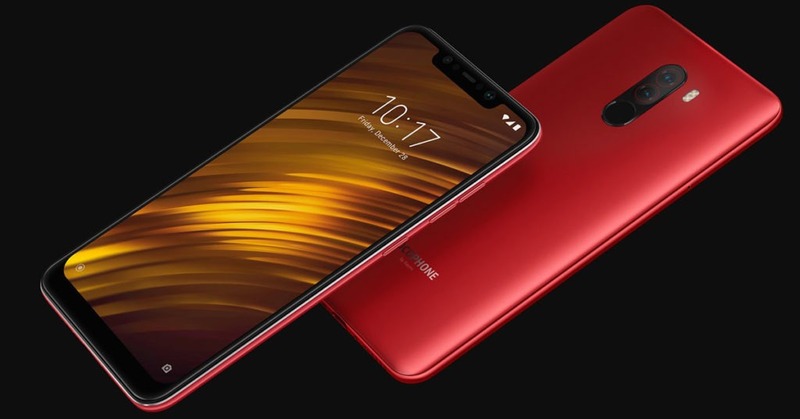 Pocophone is a Xiaomi smartphone which means it comes with MIUI. However, MIUI on Poco is a little bit different. The launcher now has an App drawer similar to nova launcher. There are many MI apps like File manager, music, video player and other MI cloud services. The runner-up of MKBHD’s blind camera test, Pocophone F1 rocks an excellent camera in the price range. The 12MP main sensor with a 5MP secondary sensor offers good details, dynamic range, and color on well-lit conditions. However, it struggles in low light. The 4000 mAh battery is more than enough. For a medium to the heavy user, the battery will last for one day. Redmi Note 6 Pro follows the traditional Redmi design but with few adjustments. The plastic strips on top and bottom are now on the sides too and it actually looks good. The back is of aluminum with a vertical Camera set up. 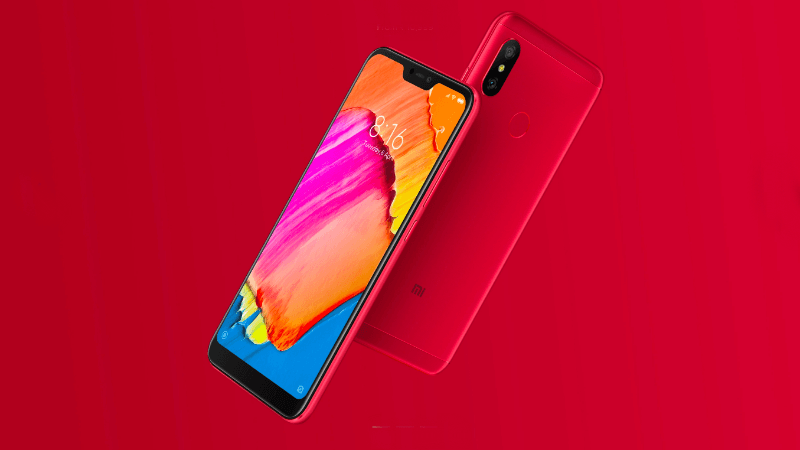 The Redmi Note 6 Pro has a 6.26″ IPS LCD unit of 1,080 x 2,280 pixels. Comparing to Note 5 Pro, the display now has a notch and the quality is improved just a little. When Snapdragon 636 was released, it was a performance beast in the department, but now it is a common CPU in all budget devices. Snapdragon 636 which contains 8 Kyro cores. The Performance is excellent and this phone can handle any graphics intensive game. The Antutu benchmark score is around 112000 which is very close to Snapdragon 820. Xiaomi took a huge step in camera department last year with Redmi Note 5. The improved image processing and a really good bokeh effect, Redmi Note 6 Pro offers a good camera in a budget. Daylight performance is really good with lifelike colors, good dynamic range, and details. Coming to Low light, the images captured contain details with reduced noise. The Portrait mode is also good, in fact, best in the budget department. Redmi Note 6 Pro ships with MIUI, an Android skin made by Xiaomi. It feels very polished but it is not for Stock Android lovers. MIUI is heavily customized skin with a flower-ish type of theme. The UI is quite close to iOS. There is a large number of apps given by Xiaomi like file manager, a security app, mail, MI cloud service and many more. One big downside of MIUI is Ads. There are Ads on MI apps and it affects the user experience a lot. A 4000 mAh battery with good battery backup. An average user can expect two-day use. 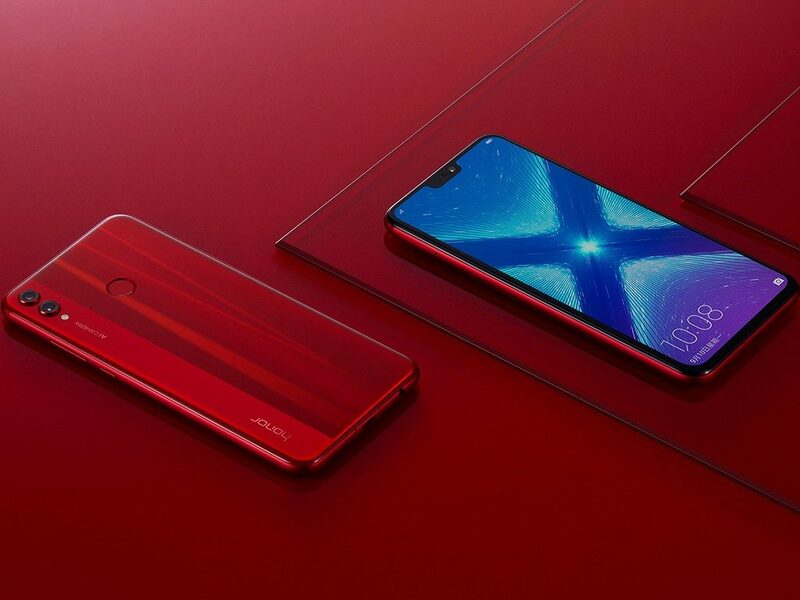 Honor 8X has a Glass sandwich design with a metal frame. It is one of the best-looking smartphones under $300. The best thing is the unique design Huawei gave to 8X. There is a two-textured back glass with tilted angles of reflections and front have a bezel-less display with a notch. The build is also strong because of the metal frame. Honor 8X is really big, even though the front is almost all display, the phone sizes at around 160 cm long. The Display is a 6.5 inch 1,080 x 2,340 LCD display with 19.5:9 ratio. The display has a blue tint which can be easily fixed by choosing Normal colors in Settings. Overall, the display produces nice and vivid images. Honor 8X is powered by homemade Kirin 710. The CPU outperform Snapdragon 660 in synthetic benchmarks and in real life, it is same. Opening and closing the apps is fast and Gaming performance is good too. The GPU is a little bit weak compared to the competition but it will play PUBG and Fortnite on Low settings. The camera app UI is a mess but with a lot of features to play with, although many of them are useless. Like the AI which over saturate the images and make them cartoonish. Images taken with Honor 8X are decent in dynamic range and good in colors, but it misses the details a lot. The low light performance is bad and Night mode works but eats all details. Honor devises ships with EMUI which is an Android skin by Huawei. The icons and UI is flowery and feels like iOS. There is no app drawer by default but you can enable it in settings. There are some extra apps which Chinese OEM always gives. Overall, the OS is full of features but lacks the cleanness and purity of Stock Android. The winner in the battery department, Honor 8X’s fuel tank is 3750 mAh but gives a backup of 2 days for the average user and up to 3 days for some users. Nokia has always been a winner in design and builds department and its the same case here. The phone is made of Aluminium and feels sturdy in hands. The build is strong enough to resist some force. The display is a 1080 x 1920 pixels LCD with 16:9 ratio. The display is the plus point of Nokia 6.1. It is bright and it gives natural colors. The display is visible under sunlight. The only downside is the 16:9 ratio. 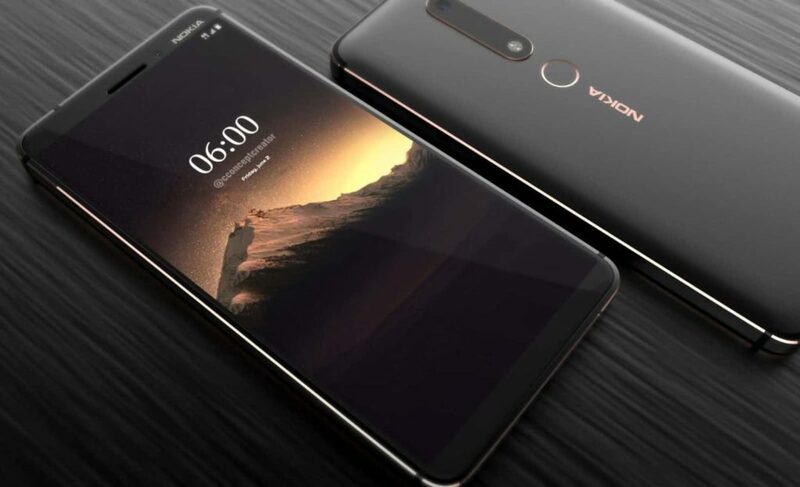 Nokia 6.1 sports a Snapdragon 630 with 3 or 4 GB of RAM. The performance is very snappy and there is no lag anywhere. Games run well too and heavy games like PUBG automatically play at low settings and are quite smooth to play. The credits can be given to the Stock Android. The camera is the one major bad thing about Nokia 6.1. It is between average and below average. There is no dual camera setup while the competition is already giving it. Low light performance is worst and the image processing over-do things. Nokia smartphones are now under Android One program, that means all Nokia devices will be one of the first to get Android Updates and Updates are handled by Google. Android One brings pure Stock Android to all budget devices. Stock Android is very smooth to use, with minimal interface and animations. Nokia 6.1 has a 3000 mAH Battery which although looks small, it gives a full day backup for the average user. Again, thanks to the Stock Android and optimization which make this possible. Moto series always bring a solid smartphone with Flagship features with a low Price tag. 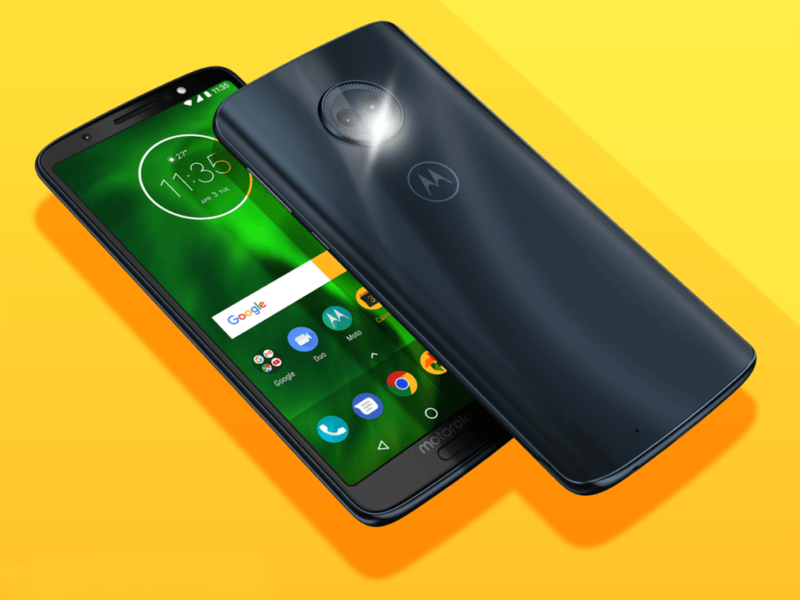 Moto G6 looks like a worthy upgrade as Motorola upgraded the Camera and Design. The corners are rounded like Samsung S8 and it is easy to hold. A USB-C port and headphone jack can be found at the bottom. The Fingerprint sensor is on the Front with A Moto Logo above it which looks odd and it spoils the front design. 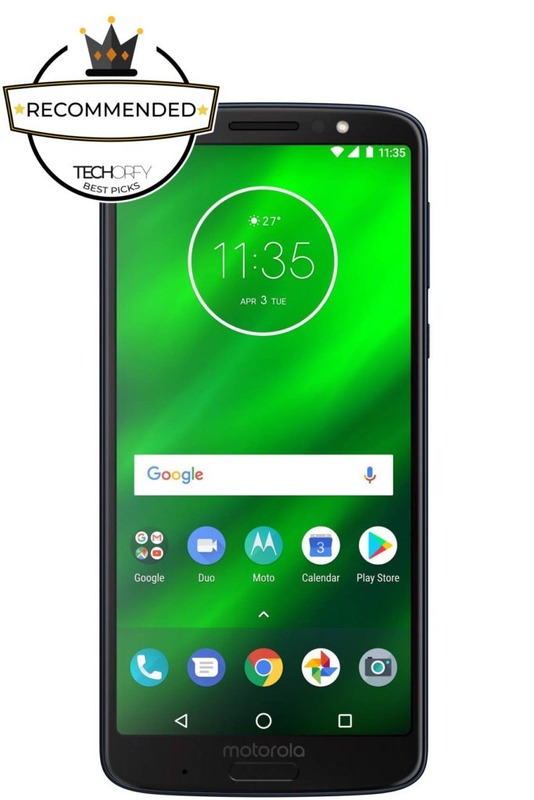 The Moto G6 Sport a Snapdragon 450 which is latest by Qualcomm in the budget segment. The CPU contains eight A-53 cores clocked at 1.8 GHz. The Day to Day performance is good enough and the Navigation through OS, opening Apps and scrolling through apps is smooth. The GPU is Adreno 506 which can handle most of the casual games. Motorola always uses Stock Android with a couple of tweaks. Moto G6 comes with Android 8.0 Oreo with almost no Bloatware. Google apps are used as Stock apps and You get a Facial Recognition feature which uses the front camera. However, in recent months, Motorola is in talks for some wrong reason i.e Android Updates. It failed to provide Android Oreo to Moto G5 Plus in time. It finally arrived in October 2018 when other brands are busy in pushing Android Pie Updates. The Camera on Moto G6 is just good and does not have any advantage over the competition. It is a Dual-lens camera with Portrait mode which gives you the Bokeh Effect. The Shots comes out to be good enough in well-lit conditions but like every other budget smartphone, Moto G6 produce dull images in low light. Moto G6 houses a 3000 mAh battery which can last for one day on Medium usage. Also, The Moto Turbocharger can charge the phone pretty fast. It takes 1 Hour 55 minutes to charge the phone from 0 to 100%. can u tell me which is the best phone for a value of money ?? Poco f1 or Asus 5z ?? ?